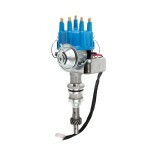 TSP’s Ready to Run distributor is designed for easy installation. 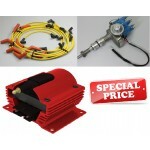 With the included ignition module, all you'll need to complete your set-up is a coil. easy-to-install ignition at a affordable price. 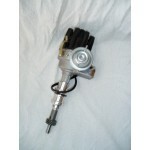 and a high-quality ignition module, this distributor will get the job done. 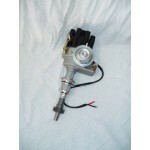 HOLDEN 253 308 PRO ELECTRONIC DISTRIBUTOR EXCLUSIVE!! HOLDEN 253-308 ENGINES THIS IS THE NEW PRO - ELECTRONIC MODEL. 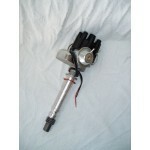 FEW IF ANY OTHERS HAVE THIS MO..
FORD FALCON MUSTANG WINDSOR 289 302W PRO ELECTRONIC DISTRIBUTOR EXCLUSIVE!! FORD WINDSOR 289 302W ENGINES THIS IS THE NEW PRO - ELECTRONIC MODEL. 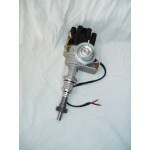 FEW IF ANY OTHERS HAVE ..
FORD FALCON MUSTANG WINDSOR 351W PRO ELECTRONIC DISTRIBUTOR EXCLUSIVE!! FORD WINDSOR 351W ENGINES THIS IS THE NEW PRO - ELECTRONIC MODEL. 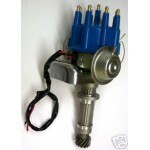 FEW IF ANY OTHERS HAVE THIS..
FORD FALCON MUSTANG CLEVELAND 302 351C PRO ELECTRONIC DISTRIBUTOR EXCLUSIVE!! FORD CLEVELAND 302 351C ENGINES THIS IS THE NEW PRO - ELECTRONIC MODEL. FEW IF ANY OTHERS HAV..
CHEVY SBC BBC PRO ELECTRONIC DISTRIBUTOR EXCLUSIVE!! CHEVY SBC BBC ENGINES THIS IS THE NEW PRO - ELECTRONIC MODEL. FEW IF ANY OTHERS HAVE THIS MOD..